Since the past two weeks, the telecom operators are revising the tariff plans every day. After private operators such as Airtel and Idea Cellular launching new plans and revisions to the existing plans, it’s now time for state-run telecom operator BSNL (Bharat Sanchar Nigam Limited), who has made a much-needed change to its already affordable Rs 187 tariff plan. Late last month, we reported that BSNL had introduced a new plan of Rs 187 (price varies with the circle), which falls in-line with private telecom operators Rs 199 plan from Airtel and Rs 197 plan from Idea Cellular. The Rs 187 plan from BSNL offers 1GB data, unlimited voice calling in the home circle and free caller tune for 28 days. BSNL has now revised the plan and started offering unlimited national roaming voice calls as well, meaning you won’t be charged for the voice calls you make to other circles. That said, you can make calls to any circle where BSNL has its operations. As you might be already aware of, BSNL doesn’t have services in metro cities- Delhi and Mumbai. Another government-owned operator MTNL operates in those circles. So, voice calls will be charged at standard rates when you make a call to those circles. The revised BSNL Rs 187 plan offers unlimited voice calls including free outgoing roaming calls, 1GB data and free caller tune. The validity of the plan is still 28 days, which is understandable. As per our information, BSNL is offering this plan at Rs 186 in Tamil Nadu. 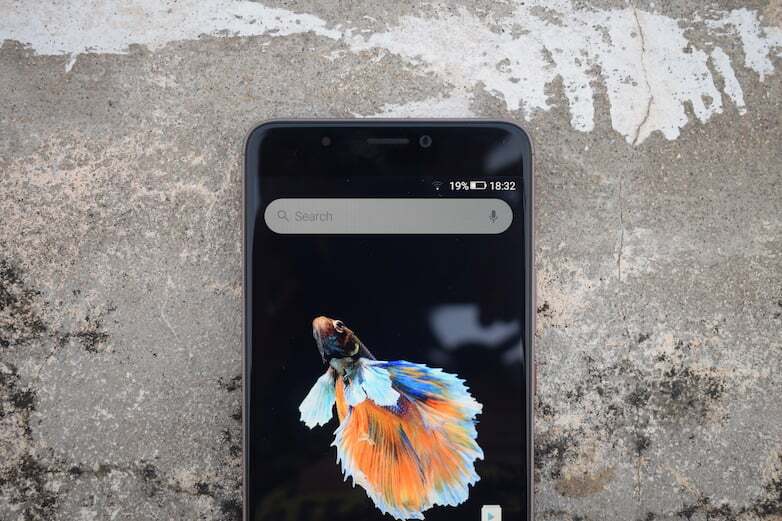 The operator introduced this plan on October 21, 2017, citing it as a promotional plan for 90 days. In Tamil Nadu, this plan is valid from October 21, 2017, to January 18, 2018. This move from BSNL is surely a worry for private telecom operators as they have already come down and started offering unlimited roaming calls with unlimited combo plans above Rs 300. Is this plan applicable to your circle? If yes, comment down below so that other readers from the same circle will be benefitted. 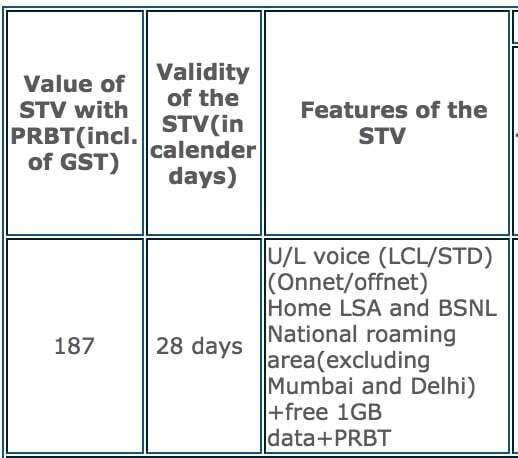 Is the 187 plan of bsnl provide 1gb per day ?